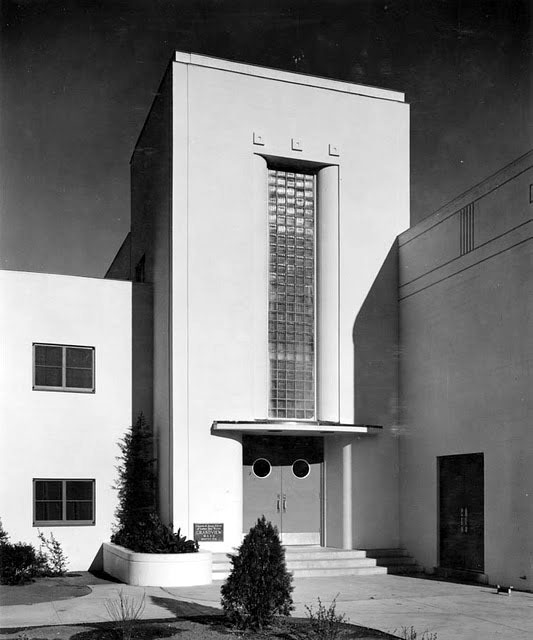 The original building above was designed in 1937 by Paulson & Parrish Architects. 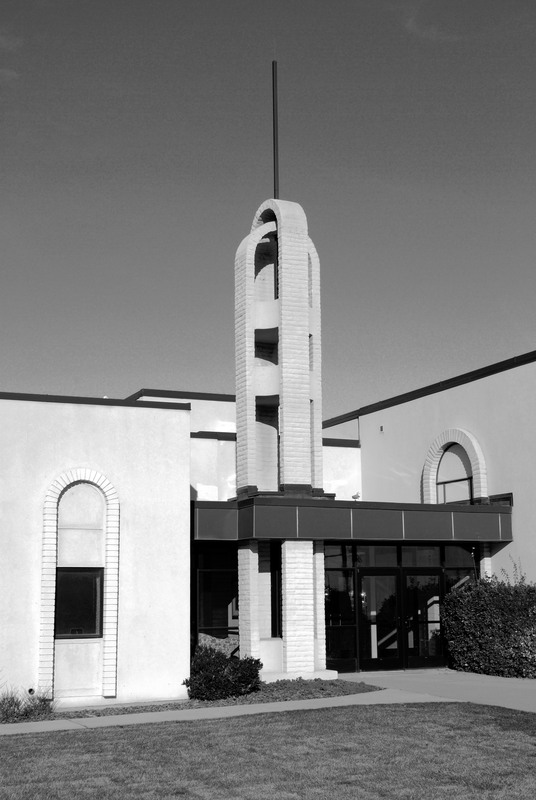 The image below is the same building remodeled, with a new exterior finish and detailing, a new tower and a larger chapel. The design of the remodel occurred in 1975 by Ehlers & Ehlers Architects.